We’ve all been there. You’re working hard over a hot stove, making a home-cooked meal, and suddenly the smoke alarm goes off. To make the beeping stop, you remove the batteries — relief, for now. But the relief is short-lived if you realize that non-functioning smoke alarms are a top home safety hazard. Is it really worth jeopardizing safety for a moment of silence? 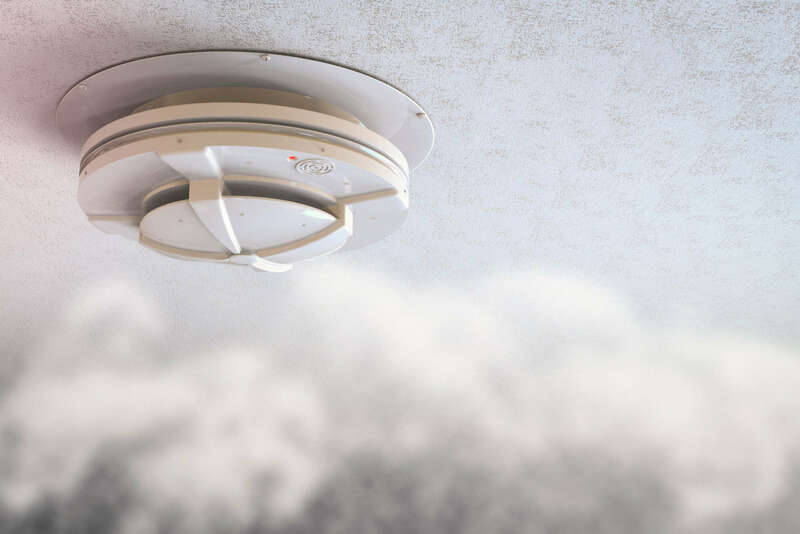 This Fire Prevention Month, I want to help educate families about common mistakes in smoke alarm maintenance (that we’ve likely all made), and help prevent this hidden danger in your own home. More than 30 percent of the alarms installed in homes across America are nonoperational due to battery removal. People frequently remove batteries from their alarms if they are dealing with “nuisance” alarms, which sound when there’s no real threat or danger — most often when we’re cooking in the kitchen or taking a hot shower and excess smoke or steam triggers an alarm. Tip: Instead of removing the batteries, try re-positioning your smoke alarm. Unless designed specifically for the cook area, smoke alarms should be at least 10 feet away from cooking appliances. While almost all U.S. households have at least one smoke alarm, in one-fifth of these homes, none are working. Tip: Many people who have nonworking smoke alarms don’t know it because they haven’t tested their alarms. I encourage everyone to test their alarms at least once a month. There’s a test button on all alarms, and it only takes a few seconds. Nearly two-thirds of home fire deaths result from fires in properties without working smoke alarms. Tip: Make sure you replace all smoke alarms every 10 years. If you don’t remember the date of installation, replace it. I recommend writing the installation date on the back of all your alarms. Replacement is always based on how long the alarms have been in operation, not when they were manufactured. I encourage everyone to “power up” this Fire Prevention Month and make sure all your smoke alarms have working batteries. The National Fire Protection Association recommends replacing your smoke alarm batteries twice each year. An easy reminder is to do this when you change your clocks at the start and end of Daylight Saving Time.